With cyclone Keni expected to make landfall on Tuesday, weather forecasters said that the whole of Viti Levu, Fiji's largest island, Southern Mamanucas and Kadavu will get destructive winds, which can go up to 209 kilometres per hour while storm surges can go as high as 3.5 meters. This means that people should expect destructive winds in a number of areas, very heavy swells sea and river flooding. The effects of a category 3 cyclone are extensive structural damage to houses, infrastructure, power poles and lines, large trees are expected to fall and low lying escape routes will be cut off. The Fijian government has urged people to prepare a three-day family disaster kit, strengthen their homes, be ready for power cuts and evacuate if necessary. 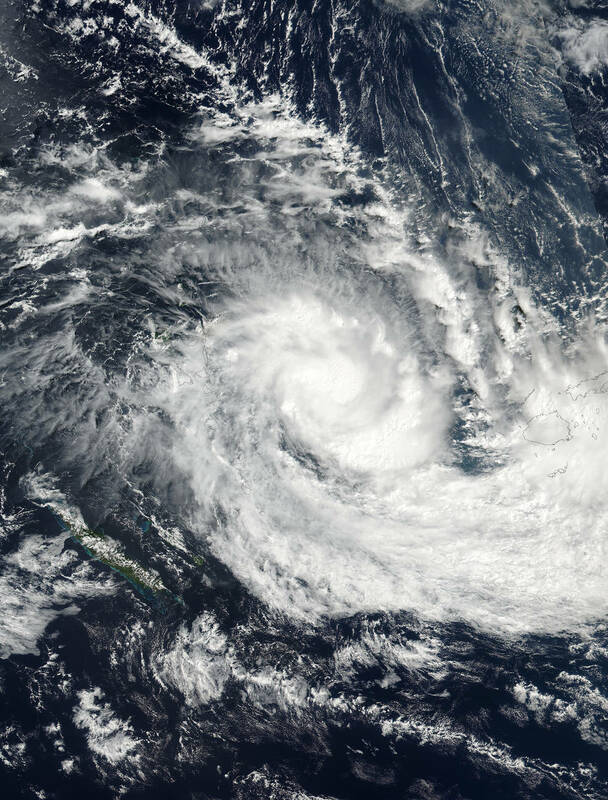 It's the second cyclone to hit Fiji in just over a week after tropical cyclone Josie caused six deaths over Easter. Last week's major flooding in the west and north of Fiji also left two dead at the weekend.